Former UFC analyst on Fox Sports and Marine Corps Captain, Stann witnessed the devastating affects of comrades struggling with depression, PTSD and Suicide. He also had a family member who took his own life and is now committed to erasing the stigma of mental illness. His mixed martial arts fighting career began in the Marines and in 2008 he was the WEC Light Heavyweight Champion. He later became an analyst for the UFC on FOX. Brian Stann formerly served as an analyst for the UFC on FOX & FOX Sports 1. During the 2013 college football season, Brian was the lead game analyst on the ACC package on FOX Sports South. In the Military and at home, Brian witnessed the devastating affects of mental illness, as many fellow comrades struggled with depression, PTSD, and suicide. He also had a family member who took their own life and Brian is committed to erase the stigma of mental illness and urges people to have the courage to get help. 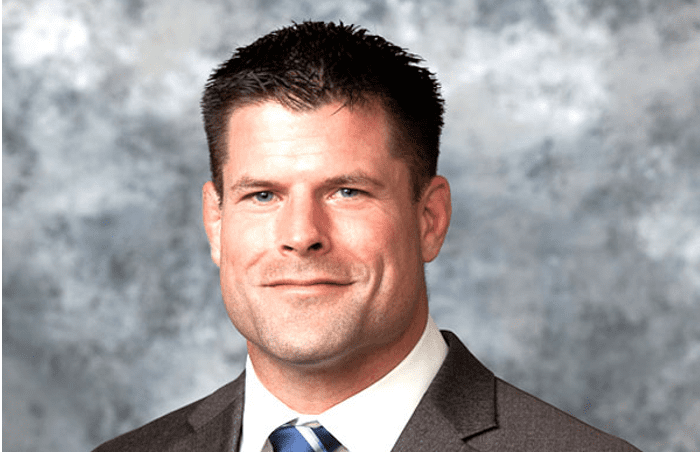 Brian Stann played middle linebacker for the US Naval Academy and graduated with a Bachelor’s degree in Economics in 2003. Following his commissioning as a Second Lieutenant in the US Marine Corps, he served as an Infantry Officer in Mobile Assault Platoon and Company Executive Officer billets during two deployments with 3rd Battalion 2nd Marines in support of Operation IRAQI FREEDOM. Brian was awarded the Silver Star, the nation’s third highest award for valor, for his actions near the Al-Romana Bridge during Operation MATADOR in May 2005. From 2007 to 2008, Brian assumed duties as Commanding Officer, 8th Marine Regiment Headquarters Company in Camp Lejeune, North Carolina. He left the Marine Corps as a Captain in 2008 and moved to Georgia to assume positions at MedAssets and Hire Heroes USA., an organization that helps place VETS in jobs. Brian’s mixed martial arts fighting career began in the Marine Corps in 2003, where he earned certification as a black belt instructor trainer in Marine Corps Martial Arts. He began fighting professionally in 2006 while on active duty in the Marine Corps, using accumulated leave to take time for training and fights. In 2008, Brian defeated Doug Marshall to become the WEC Light Heavyweight champion; in 2009 he debuted in the UFC, where he currently fights in the middleweight division.